Download this poster to put up at your workplace to collect grocery donations from staff or customers. 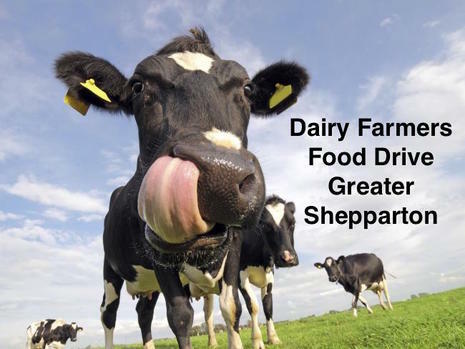 We are collecting grocery items to be made into hampers which will be delivered to needy dairy farmers. 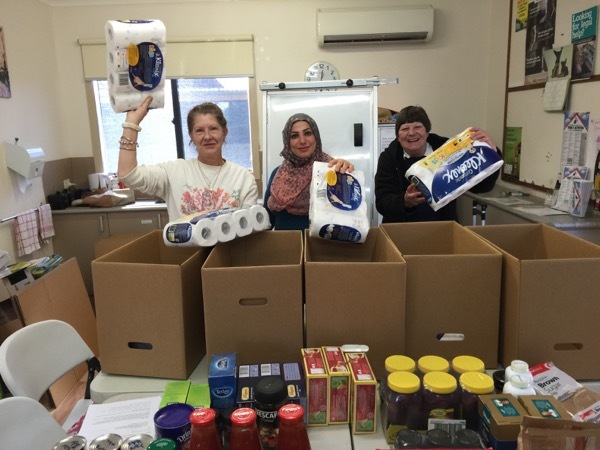 Consider organising your own food drive at your work, school or community organisation. Items can then be delivered to our Collection Points and we will put them into hampers. 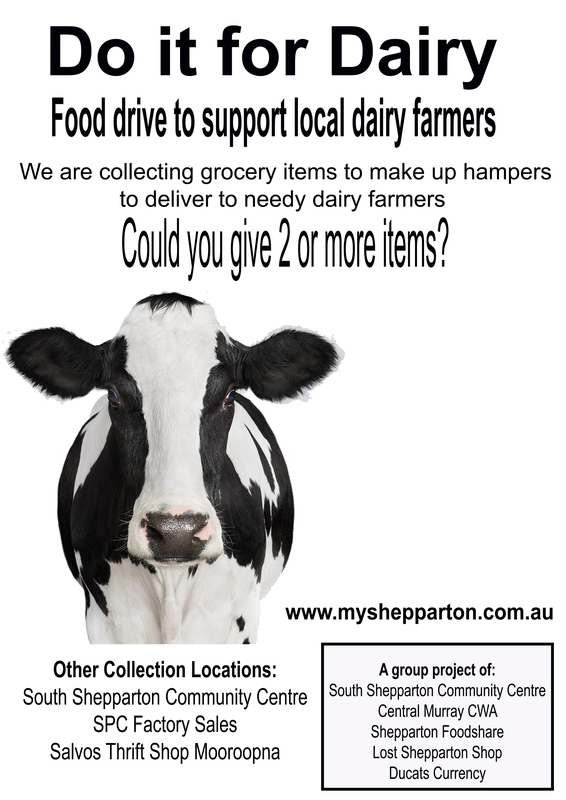 Each grocery hamper includes $D25 (ducats) which can be spent at participating Shepparton businesses. You may like to make a financial donation which will be converted to Ducats Currency (Shepparton's own money) with a 10% bonus added. To make a donation click here. As of the end of August 2016.